Vantage Media (www.vantagemedia.com) is a rapidly growing search marketing and media firm based in El Segundo. The firm's CEO is Steve Jillings, who we talked with the other day to get his perspective on the market, the company's recent acquisitions, and how the overall economy is affecting the firm, as well as what has been powering the company's growth. 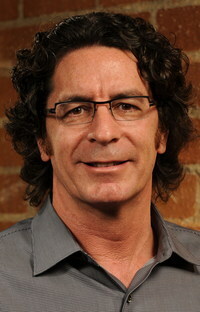 Steve was previously President and CEO of Frontbridge, which he sold to Microsoft in 2005. For those not familiar with Vantage Media, what does your company do? Steve Jillings: Vantage Media is one of the largest, performance based Internet marketing companies in the country. Founded in 2002, we focus on search marketing, paid search, running 50 million keywords across all of the three major search engines. We're focused on four core verticals. The largest is education, schools and universities use us to find, attract, and enroll students to their campuses. We serve 2,500 campuses and 200 online schools. Our second vertical is the in-home services vertical, which is anchored by the moving industry. We have exclusive search contracts with two of the largest van lines, Allied and North American Van Lines. We have also built out a home services network on the back end of that, of services that people need when they move--when you move, that kicks of about 25 events that you have to deal with, such as hooking up home security, auto insurance, and all of those other services. Our third category is the insurance category, where we do performance-based marketing for health insurance, life insurance, and auto. We acquired a company in November of last year, Secure A Quote , which is focused specifically on health insurance. We're in the process of building that out, and that' s a significant piece of business for us. The fourth and final area is consumer services, a vertical that consists of any subscription-based, consumer service or large ticket consumer item. Our two core tenants who we have exclusive search contracts with are eHarmony, where we drive new subscribers for them, and a search contract with Netflix. It's all about performance based--we take the principal capital risk. If a campaign isn't successful, it doesn't cost the clients anything. It's a very strong selling proposition for our clients. How is the lead generation business doing now a days--are you seeing any effect of the economic slowdown? Steve Jillings: To the contrary. It's interesting. As we know, the economy is not in the best shape, and it's tight out there. But, what we have seen from our client base, is it's been relatively unaffected. In fact, our clients are increasing their spending in the online space. We have never seen the demand we see today--it's been strong or stronger than it ever has been. We're pretty confident on the direction of the company. Is that because online is a better alternative? Steve Jillings: If you look at ever statistics in online advertising, there's a lower cost of customer acquisition online that in any other medium. That's the great thing with being online. Every aspect is completely measurable. There's no wastage out there. If you do end up with wastage, you can adjust and adapt. That's completely different from TV. When you go out and buy $10 million in TV advertising, there are no performance metrics. You just cross your fingers and hope it works. In our world, it's all about Internet direct response. Have acquired some companies recently, what's the strategy there and will you be making more acquisitions? Steve Jillings: We're constantly looking at opportunities, at companies to buy. We're bolstering up in four verticals right now, and in the future in new verticals that we'd like to enter, likely through acquisition. With Secure A Quote, we liked the company and the principals that ran it, great guys who are doing a great job today. We saw that the health insurance market had a lot of upside and potential--especially since there are so many plans targeted at individuals and families, as opposed to health plans for employers. Every analyst report points to a high growth market, so we've focused on consumer and consumer health plans, and have been quite successful. Talk about the company's growth - I see you were recently ranked on the Fast 50, tell us what has been powering that growth? Steve Jillings: We were number one on the Deloitte Fast 50, and number 31 on the Inc. 500. We have had some spectacular growth. In the last year alone--and we're already a high revenue company--we grew by over 40 percent. That's pretty significant for an already large company. We've also increased our headcount to manage that growth, so that we can continue that in the future. When we bought control of the company we had 35 employees, and we now have 130. That's almost 100 people in the last twelve months. Our growth is really driven by a couple of things. One, is the online marketing arena and lead generation is very, very young. We're really at day one in the cycle. One thing I was able to do, was to take an experienced management team who had worked with me in prior ventures, and go into a very young environment, and apply their skills and experience from the enterprise software world and apply those skillsets to a new territory. It worked extremely well for us. We also have high levels of customer service, a high level of feedback, and interaction in our relationship with our vendors and partners. We're seeing that our spend with our core clients has increased significantly. We've also built out professional sales, to add lots of clients over the last twelve months that has fueled the growt. We are able to provide a very low risk, fixed-cost methodology to growing business and adding customers, which is a very huge thing for our customers. It's nice to be able to go to our clients, who know how much a customer is worth, and tell them we charge X dollars for a new customer and it's all incremental. They know how many they can afford to buy. In many cases, they tell us they'll take as many as we can produce for them. It's a very compelling value proposition for clients. What's next for the firm? Steve Jillings: We'll continue to invest in infrastructure. We've made some significant technology investments, and will continue to make those investments. We're absolutely a technology organization. Of the 130 people we have, more than fifty percent are either in engineering or peripheral services around engineering and design. We have excellent technology today, but in the future we will have the best technology available in the country to drive efficiency and do a better job for clients. We're also going to grow out our verticals. Each vertical represents approximately $100M in annual business for us, and we'd like to grow into that $100M in each one of them. Along that path, we'll add new verticals that have the same or similar opportunities for us. There's quite a few players in the search engine marketing area, do you see any consolidation happening anytime soon? Steve Jllings: There's been quite a bit of consolidation already. There are lots of players in the lead gen space, but it's very segmented by size. There are tons of companies that do less than $10M in revenues. There are a lot less that do $10M to $20M. And, when you get to $20M it just drops off. People who are doing around $100M are very, very few. What we're seeing is that the strong companies are getting stronger. There are lots of smaller companies that aren't able to break through that $10M barrier, and once crossing $10M, it's really crossing to chasm to get to $25M. You've got to invest more in technology and infrastructure, and most of those with less than $10M in revenues just haven't got the process. It can turn a profitable company to unprofitable very quickly.